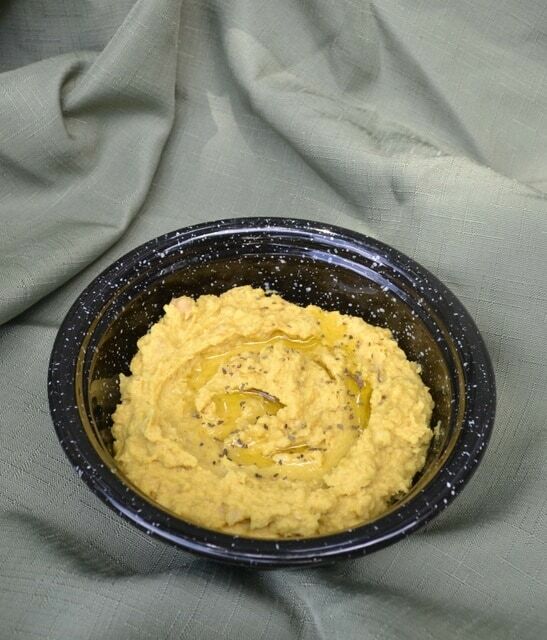 Hummus is a healthy snack dip that has been taking the country by storm. When you’re planning a gathering, add this snack spread to your menu and watch the family eat it up! When you buy hummus, you can find a multitude of flavors, and the price can be fair to fairly high. Believe it or not, this is a super simple spread you can make at home! Not only will the price be very reasonable, but you’ll get to control the ingredients and therefore make it even healthier. If you didn’t already know, garbanzo beans are the same thing as chickpeas. Protein full and easy to find! Drain and rinse the can of beans. Place beans and all ingredients in blender or food processor. Process until smooth, scraping sides down frequently. If the hummus is too thick, you can add more water or oil, 1 teaspoon at a time. Approximate Nutrition Information: Servings Per Recipe: 14, Amount Per Serving: Calories: 70, Fat: 4g, Cholesterol: 0mg, Sodium: 72g, Total Carbs: 8g, Protein: 2g. Make it a Meal: Spread over toast and add sliced tomato for breakfast. As an appetizer, serve as a dip with crackers and veggie slices. Variations: If you like garlic, double the garlic in this recipe. Add a tablespoon of sun dried tomatoes for a fresh spin on this dip. When temperatures rise, spread over toasted bagels and add sandwich fixings for a picnic supper. Add chili spice and leave out the curry for a southwestern flavor then serve with nachos. If you buy dried beans, simply soak one cup of beans overnight in cold water, drain, then bring to boil in three cups of fresh water. Turn heat down to simmer and cook for 90 minutes. This trendy spread is easy to make from home and you benefit from not only making a delicious treat, but by controlling ingredients and cost. Reader Feedback: Personal quiches are a great dish to take to a new mother or a shut in. They store in the fridge for quick easy breakfast or freeze well enough to save up for a last minute snack.